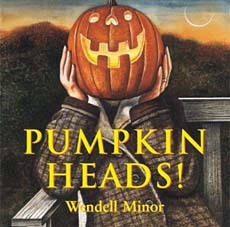 Pumpkin Heads delivers exactly what the title promises: pumpkin heads! 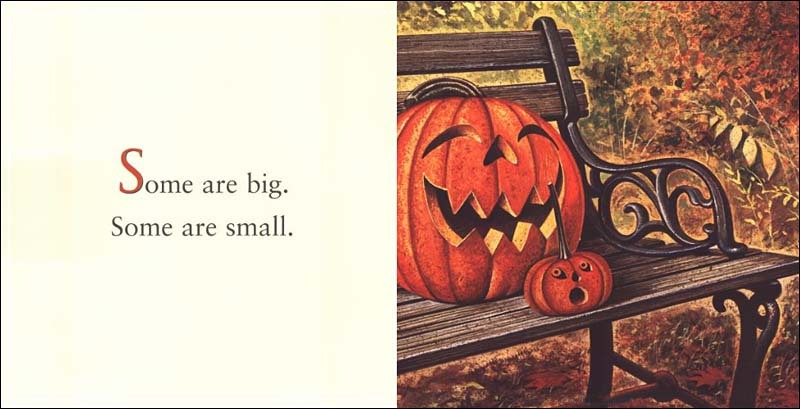 Detailed illustrations present a range of jack-o-lantern faces, from cowboys to witches to snowmen. 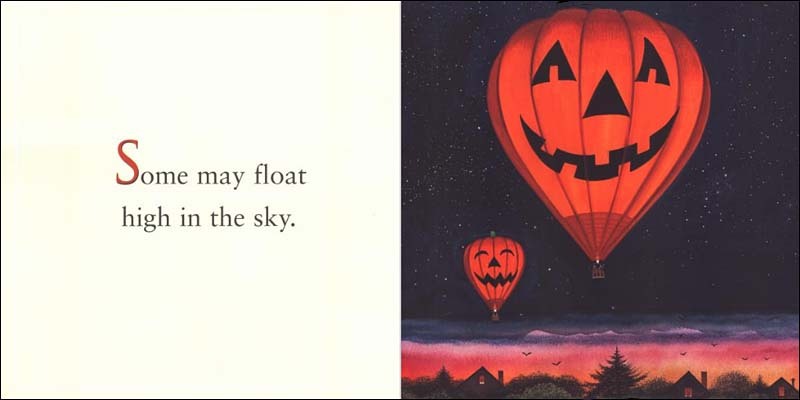 The concept is super simple -- just different jack o' lanterns with simple sentences on the facing page -- but it's a great fit for the audience. School Library Journal ended it's review of this book by promising that "this visually stunning book is sure to be a favorite autumn read-aloud." Below are two sample spreads from inside this simple but fun book. You can see the text is minimal. Yet...the kids find the book totally delightful! :) And, as these sample pages show, some jack o'lanterns are proper pumpkin versions while others are on the less traditional side. 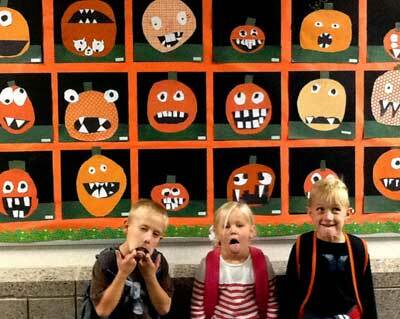 At right are three of my students making their best funny faces in front of our class's funny pumpkin faces. Such fun! Cut the orange pumpkin paper to about the size you want them to end up, and then tell the kids to draw the biggest circle they can without going off the paper (on the back side) That will help prevent the kids from making the pumpkins too small to make funny faces inside. If you have different types of orange scrapbook paper, that adds some fun variety. The kids had to make their own shapes for the stem, eyes, and mouth (small pieces of white, black, and brown were provided), but I provided the green grass part pre-cut and had them glue that down to the black background before they even started on the pumpkins. That helped provide a little consistency across the board.